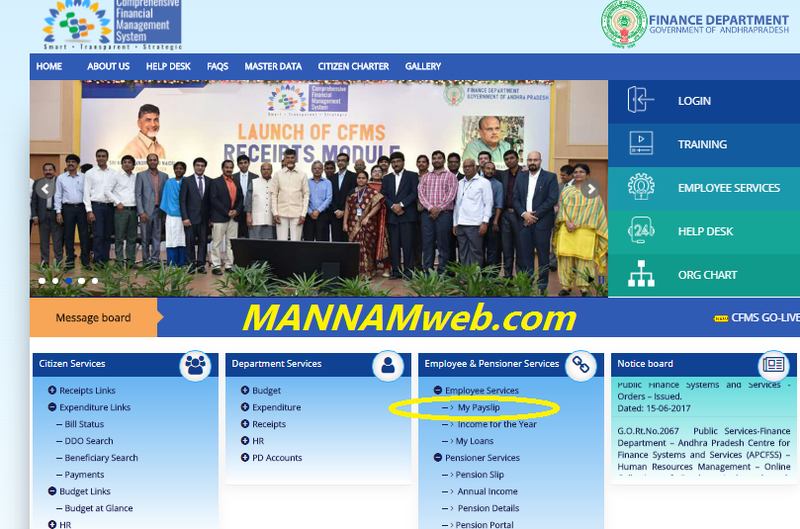 From 1st April 2018 Onwards CFMS is being implemented in Andhra Pradesh. All the Salaries and Financial Transactions will be made through CFMS. In this new system, CFMS has provided Pay slips for Employees. Employees can download and view their Pay Slips, Salary Slips made through CFMS System. Steps to Download Pay Slips in CFMS System. Open the CFMS Website and See at Employees and Pensioners Service Tab. In that Tab, Click On Employee Services. The Employee Services Tab will expand. In that Click on My Pay Slip. Dear gentlemen, ZPH School, (Boys), Chagalamarri, Kurnool dist. We have not been credited our November salaries yet. Kindly refer and resolve. Belongs to Sub-treasury, Allagadda, Kurnool dist.